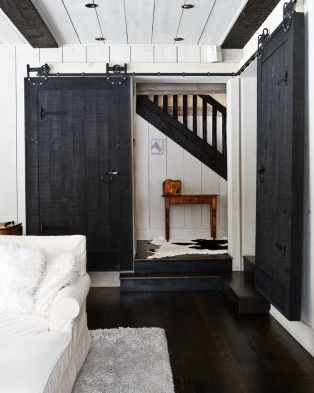 Interior sliding doors are a great way to save space while the barn door adds an element of texture to room as well. 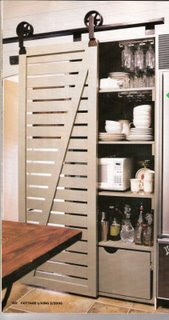 They can function well as a pantry door. They can beautifully hide a laundry room. If I had a choice, I would rip out my builders basic door to my office and replace it with a barn door.